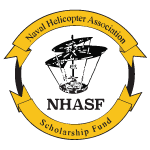 NHA Scholarship Fund recognizes the scholarship winners of 2007. Click the icon to view. NHA Scholarship Fund recognizes the scholarship winners of 2009. Click the icon to view. NHA Scholarship Fund recognizes the scholarship winners of 2012. Click the icon to view.